The step-by-step guide to the genre of Film Noir. Shrouded in suspician, racked with cynicism and tortured by doomed love, in the 1940s and 50s Hollywood revealed its dark side in a wave of films that were dubbed 'film noir' by French critics, both for their heavy use of shade and for their black outlook. 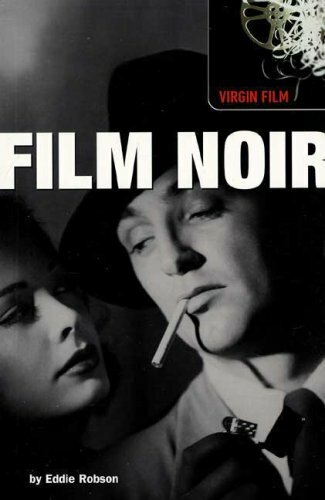 Film Noir looks at the defining movies made in this brooding, menacing tone, covering such classics as The Maltese Falcon, The Big Sleep, The Killers and Kiss Me Deadly, and analysis film noir's typical use of expressionistic lighting, deep-focus camera work and disorientating visual schemes. As well as discussing plot and structure in detail, the book profiles iconic actors such as Robert Mitchum in Out of the Past and The Night of the Hunter, legendary directors such as Billy Wilder, Orson Welles and Stanley Kubrick, and writers such as Raymond Chandler, Dashiell Hammett and James M Cain on whose work many of the films were based. From Stranger on the Third Floor to Touch of Evil, this accessible and essential guide examines some of the finest, most innovative and interesting films that Hollywood has ever produced. 'Yes I killed him. I killed him for money and for a woman. I didn't get the money and I didn't get the woman. Pretty isn't it?' - Walter Neff in Double Indemnity.